I love using WordPress for my sites as it’s very easy to install, easy to use, easy to maintain, easy to customize and easy to update. I have been struggling however with changing the language of a WordPress installation. Until I found the trick I’ll show below. 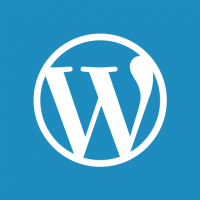 I maintain dozens of websites, all of them using the great WordPress package. On my own webserver, I run an installation of Installatron, which is a great tool to easily install software packages on a webhosting account. As I already paid for Installatron and I’m very keen on my SEO, I don’t want to have the Installatron Branding, which includes an outgoing link, on every page of every WordPress site I run. So here’s how to remove it. For your WordPress blog 2 types of Sitemaps are relevant. The first is the XML sitemap used by Google. The second is an ordinary sitemap for your visitors, which might also be used by Google by the way. But how to add them? Here’s howto. Within WordPress the title is created dynamically. Personally I don’t like the Â» (“& raquo ;”without changes). I’ve got the feeling that Google and other search engines don’t like them. But it’s hard to remove them. The format of the title can be changed in the theme files, but not the Â». Here’s howto. I’ve been looking how to generate a RSS feed in my WordPress weblog and found out that WordPress already created it for me! All I needed to do was create a weblink to http:/ [mydomain] /wp-feed.php. Et voila!